New DevKit Leverages Verizon’s ThingSpace Platform for Secure Connectivity and Swift Deployment. Verizon today announced a new Internet of Things (IoT) development toolkit using Verizon’s ThingSpace platform and powered by Amazon FreeRTOS. Verizon’s ThingSpace platform is designed to make it easier for developers, OEM manufacturers, and System Integrator companies to develop IoT solutions that can leverage Amazon Web Services (AWS) and connect to AWS IoT Core. AWS and Verizon have entered in a strategic relationship in the IoT space with the aim of reducing complexity in bringing new IoT solutions to the market with Verizon ThingSpace platform and AWS IoT Services. This DevKit is the first in a planned series as part of the ThingSpace Cloud Connectors program, which aims to simplify integration with IoT developers’ existing cloud service providers. 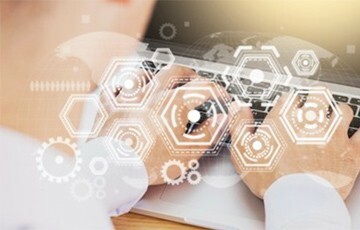 “Instead of spending a lot of time struggling to manage IoT connections and network options, this DevKit allows customers to focus on IoT solution development for improved intelligence and business performance, knowing that the underlying connectivity is sorted,” said Shawn Hakl, senior vice president, business products at Verizon.